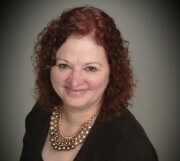 Diane Culver is a Certified Probate Real Estate Specialist. ​We understand that there is a lot that goes into settling an estate. We make the process effortless in that we will be the Personal Representative's main point of contact as we will be scheduling vendors & coordinating the entire process to ensure a smooth sale. If you feel overwhelmed or confused by the process of dealing with the sale of inherited property, you are certainly not alone. As the Personal Representative or Trustee for your loved one's estate, you have the duty of doing what is necessary to settle the estate, just as you are going through a very emotional time for yourself and everyone else involved. You may be in charge of selling any property within the estate... and then, there is the often huge undertaking of getting the property ready to sell. For most people, the probate process can seem awfully intimidating. Everything from terms used to the timelines is unfamiliar. Emotions are raw and sometimes just getting through the day is difficult enough without adding the confusion of legalities. Oftentimes, people get so overwhelmed they feel they can't move forward, and they do nothing. A guiding hand can help a great deal. 2. There is a petition for probate. 3. It is decided who will be in charge of settling the estate. 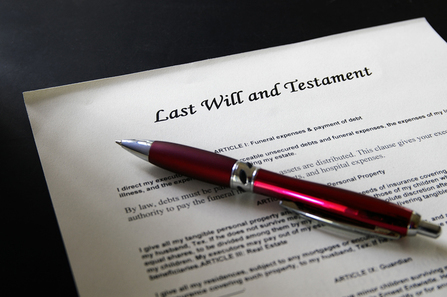 One of two things will happen –(1) If there is a will, the person named in the will is the Trustee of the estate. (2) If there is no will, the court will appoint someone to act as the Personal Representative of the estate, typically a family member. 4. The assets are sold to pay the creditors. 5. Once the creditors are paid, the heirs receive their inheritance. 6. The estate is closed. Will I Need a Probate Attorney? ​There are many variables in individual estates. In most cases, you will need a probate attorney for some, if not all of the work, involved with settling an estate depending on the complexity of the estate. One of the advantages of working with Team Culver is that we can help you navigate this entire process. 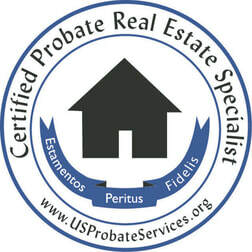 As Certified Probate/Estate Property Specialists, we can help you navigate this process. It’s pretty common for houses that are in estates to reflect those last years of that person’s life. A lot of folks are “keepers.” They keep everything. Or to put it another way, they haven’t thrown anything away in decades. Family members end up spending months looking for anything of value, especially things of sentimental value or important paperwork they might need. Sometimes, family members get worn out. Finishing this job is just something they can’t do. What happens then is the property just sits there for months and months. This is typically the one thing holding up the process of getting the estate settled. You don't have to do it. Team Culver can provide solutions. We have built a database of vendors with services that can help you being handling everything from clean out and clean up. You can take everything you want, and they will take care of the rest of it. ​Contact Us Today. We specialize in probate and estates. Give us a call today at 616.446.4173 to schedule a free, no-obligation appointment. Let's talk about your situation and we will help you find a solution. Step 1: We will meet with the Personal Representative (and any relevant beneficiaries) and provide a complimentary home evaluation. We will then review the selling time-frames & strategize the best plan of action. Team Culver has a Certified Price Strategy Advisor who can produce an accurate value of the home both for the seller and for the attorney compared to today's market for the estate inventory. Step 2: Once the time-frames have been determined, we will schedule for our professional organizer to go through the home with the Personal Representative and determine what items the family and beneficiaries would like to keep. Step 3: After we determine which items the Personal Representative will be keeping our Estate Sale specialist will then work with them on what they would like to sell vs. donate including a free estate appraisal and then schedule the Estate Sale/garage sale if desired. Step 4: Now that all the personal items have been organized, we will work with any trade services to make any necessary repairs on the property to get the home in “showing” condition. ​Step 5: We will market and sell the home for top dollar and ensure an easy and effortless sale for the estate. We will coordinate with the movers, the packers and any other services the Personal Representative may need. ​In additional to realty services, we maintain a well established, full service team of competent resource partners, which are able to address any challenges and keep you fully informed throughout all aspects of the transaction.